Game 4, Gauntlet’s Revenge, is finally complete; another proud entry in One Man Left’s hall-o’-games. A hearty thank you to everyone that deemed it worthy of a download! We wish you the very best of luck in your campaign against the dot bots. Above is a YouTube playthrough we found for Lockdown on normal, and he finishes with only one man left! We’d love to see videos like this for hard mode, if any of you have the skill (here’s how). There’s no denying the game is tough. We aimed to give you a real challenge to conquer, not just busy work. With practice, focus, and strategy these courses are doable, and telling your friends “I beat the Dot King” will really carry some weight. So far, only 29 human beings on planet Earth can make that claim! And speaking of Gauntlet’s Revenge, would you help us find a good home for these App Store promo codes? 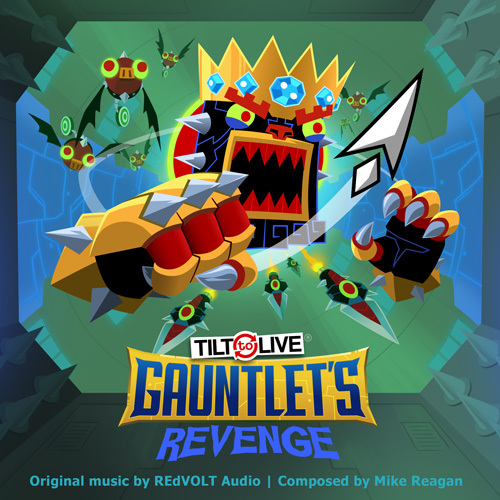 Tilt to Live: Gauntlet’s Revenge has arrived! It’s a collection of brutal tilt obstacle courses, culminating in a final battle with the Dot King. The new dot bots can be pretty ruthless, so we’ve assembled a few tips to help you find your way. If you’d like to finish every level and beat the Dot King, Normal mode is the way to go. If you’re really struggling, Easy gives you twice the health and removes the hardest obstacles from the three main tracks. It’s worth noting that the final boss gauntlet has the same tough obstacles no matter what, so your difficulty there will just determine the size of your life bar. Hard mode is intended for highscore hounds looking to compete on the leaderboards. When it’s that easy to die, every piece of pointonium counts. If you can actually finish the game on hard, you’re ridiculous (and we totally want to watch your YouTube videos). If you want a shot at taking down the Dot King, you’ll need to earn 9 medals in the three main gauntlets. But here’s a shortcut: the harder your difficulty, the more your medals are worth. Unlocking a Finish medal on hard also unlocks it for easy and normal, so that one medal really earns you three. Playing on Easy, you’ll need every medal from every gauntlet to reach the Dot Bot Fortress. Normal medals count for two, and hard medals count for three. Remain calm. If you flip out and over-tilt, you’re going to get a face full of spike wall. Subtle, deliberate tilting goes a long way. If you’re having a hard time maintaining control, try a different tilt sensitivity. You can change this mid-game in the pause menu, at the top right. If you’re just trying to reach the finish line, ignore the pointonium. We know it’s shiny, but it makes you take risks that you normally wouldn’t. Sometimes blowing up an enemy will make your life a little easier. Other times it isn’t worth the risk. Choose your battles wisely. You heard it here first! 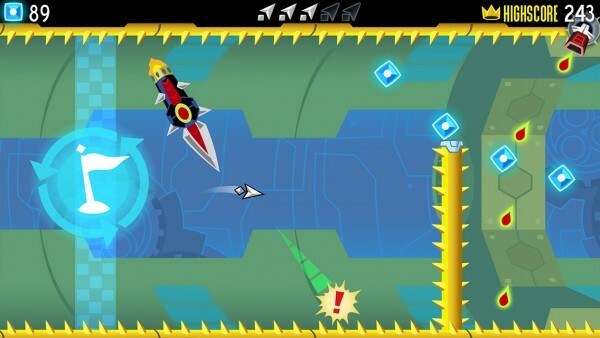 Tilt to Live: Gauntlet’s Revenge will be available this Thursday, October 23rd, exclusively on iOS. Check back on release day for some gameplay tips to get you started! With release day just around the river bend, you can now stream (or purchase) the complete Gauntlet’s Revenge Soundtrack on our bandcamp page. Take a musical tour of Arropolis, the Pointonium Mines, or the unlockable Dot Bot Fortress. For some of you, this may be as close as you ever get to the Dot King. We’re in that happy place now between finishing a game and releasing it. All is calm. We’d hoped to have a solid release date for you by now, but I think we squeaked in a little late for that. More likely, we’ll just jump out from behind a bush when you least expect it, screaming “THE GAME IS OUT TODAY”. This month is still as specific as we can really be. You can sign up for an email reminder to stay on top of things. May we present Gauntlet’s Revenge, in all its release candidate glory. We’re running the game through its final tests this week, preparing to submit it to the App Store review team. That makes this six-month project the fastest game we’ve completed since the original Tilt to Live. We have a lot of awesome new tools to thank for that, plus some time-saving infrastructure from Tilt to Live 2. Release day isn’t set in stone yet, but you can always sign up for an email reminder when the game comes out. We normally post on Wednesday mornings, but our trailer for Gauntlet’s Revenge isn’t ready just yet. Should be up later this week! This week I’m prepping some artwork for the Gauntlet’s Revenge soundtrack. I usually try to do something snazzy for the cover, since our bandcamp page is where I go to get nostalgic or if I’m feeling discouraged. I’ve told Alex I consider it our trophy room, though I’m not sure he gets quite so dorky about it. The music is still being composed, but I thought I’d show off the cover art in the mean time. We liked it so much we also used it for our new game page. Yikes! Is it Wednesday already? We released some new screenshots yesterday that have found their way onto various news outlets. We’ll have those collected on an official game page as soon as I get to that part of my to-do list.